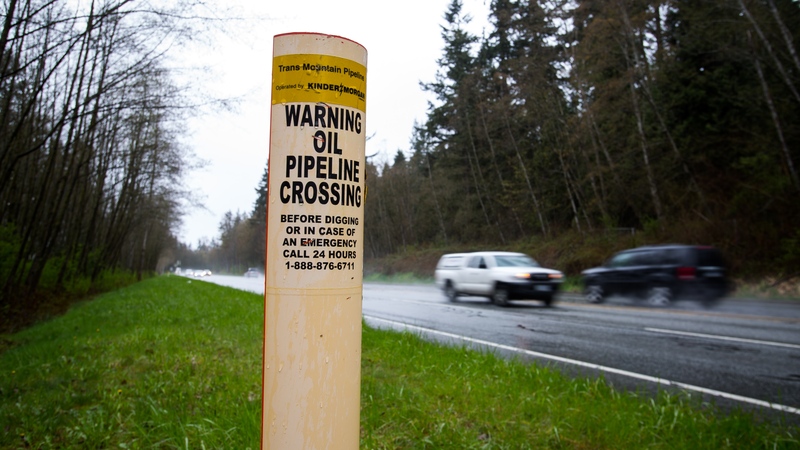 Canada will buy Kinder Morgan Canada Ltd.’s Trans Mountain oil pipeline and its controversial expansion project for $4.5 billion in a bid to ensure it gets built amid fierce opposition. The purchase marks a stunning development for Prime Minister Justin Trudeau’s government -- effectively nationalizing the country’s highest-profile infrastructure project until an operator can be found. The project has been beset by legal uncertainty and rising protests from environmental groups and the province of British Columbia. Canada first offered this month to indemnify the expansion project before announcing Tuesday’s plan. The deal includes the existing pipeline that’s been in operation since 1953. Morneau said there’d be no fiscal impact of the plan -- suggesting he doesn’t expect to make or lose money on the deal. He declined to say what construction costs would be for the expansion project, and downplayed concerns about finding a new buyer. “Many investors have already expressed interest in the project, including Indigenous groups, Canadian pension funds, and others,” the finance minister said. The government’s plan has several stages. Construction will continue through the summer with a federal loan guarantee as the deal is finalized Kinder Morgan and the government will seek a third-party buyer or buyers for the project until July 22. Senior federal officials, speaking on condition of anonymity, said the government has the option to sell the project to private investors before Canada completes its own purchase agreement Barring that, the federal sale is expected to close in August. In the event of a resale, the government would then “indemnify” the new owner or owners against certain costs or delays. It isn’t “the intention of the Government of Canada to be a long-term owner of this project,” Morneau’s department said in a statement. Buying the pipeline outright became increasingly likely after Trudeau first pledged only to backstop it. The prime minister reiterated his intentions to get the line completed as he headed into a meeting with his cabinet Tuesday. The move will be a key test of Trudeau’s bid to balance the environment and the economy by backing the $7.4 billion pipeline expansion while pushing a national carbon price to reduce greenhouse gas emissions. Political opposition is already building. Conservative Party Leader Andrew Scheer said Kinder Morgan wasn’t asking for money but for “certainty” on how to build the pipeline. “Using taxpayers’ money is just Justin Trudeau trying to buy his way out of his own failure,” Scheer told reporters in Ottawa. The provincial government in oil-producing Alberta will create an emergency fund of as much as $2 billion for the project, which would only be used in “unforeseen circumstances.” Alberta “will receive value commensurate to their contribution, through equity or profit sharing” in return, according to the government statement. “Any extraordinary costs will be covered together” with Alberta, Morneau added. Shares of Calgary-based Kinder Morgan Canada, a unit of the Houston-based parent, surged as much as 9 per cent after the announcement, and were down 28 cents, or 1.69 percent, to $16.31 at 12:27 p.m. in Toronto. The company has a market value of $5.8 billion. Kinder Canada Chief Executive Officer Steven Kean said on a conference call the company hasn’t yet decided how it will use the proceeds from the sale and it will consider options including acquisitions and stock buybacks. The company also said it still has a strong set of midstream assets in Canada and that the Trans Mountain sale will help its Edmonton terminals business. The company has put $1.1 billion into the $7.4 billion pipeline, including funds spent on upgrading the Westridge Marine Terminal in Burnaby, Kean said in a statement on April 9. The sides had been in talks since the company set a May 31 deadline for the government to give certainty in the face of opposition from British Columbia, which is concerned about increased tanker traffic and possible oil spills along the Pacific coast. The Trans Mountain expansion would almost triple capacity to 890,000 barrels of oil on a line running from Alberta to a terminal near Vancouver. The 980-kilometre (600-mile) expansion is seen by the oil industry as a crucial link to Asian markets, allowing producers to diversify away from the U.S., which takes the vast majority of Canadian oil exports. “How much of a win is this for Canadians? That’s a big question,” said Bloom. “The government was under tremendous political pressure to get this deal done. Did they overpay? Maybe."